Salem officials are asking children in the community to write notes to kids who have been separated from their parents at the border. The letters from the children vary, but they send a very similar message of hope and compassion. “You guys are struggling and what your going through is awful and no one should have to go through exectpailly children I hope everything works out well,” one reads. 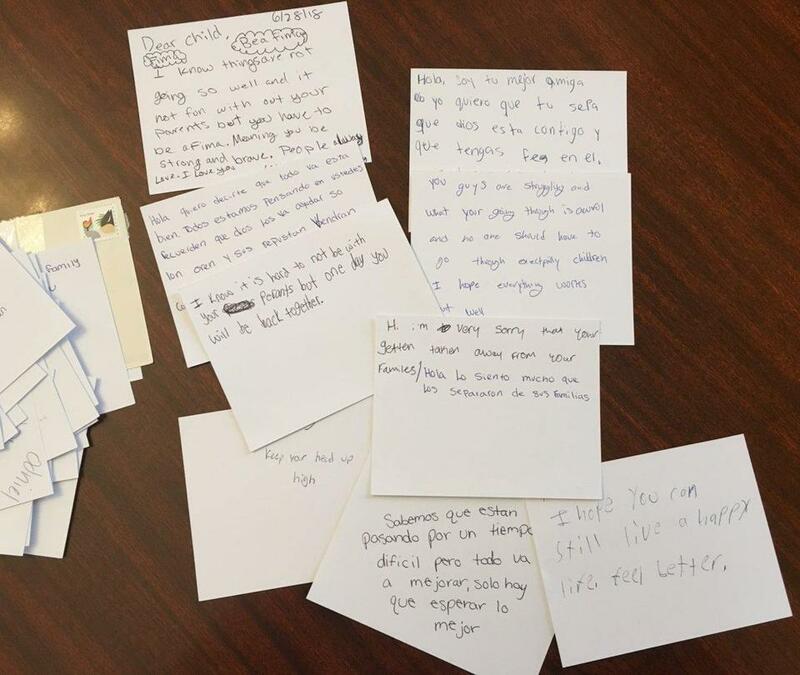 The notes were among a cluster of letters that the City of Salem has received as a part of a program inviting kids in the community to write to immigrant children separated from their parents at the US-Mexico border. Mayor Kimberley Driscoll asked for the letters of “friendship, encouragement, and kindness,” so they can be shipped to children who were recently split up as part of President Trump’s “zero-tolerance” policy on illegal immigration. While Trump bent to pressure last week and signed an executive order undoing his own administration’s policy, many children have not been reunited with their families. Salem, it seems, saw this as an opportunity to bring hope to those who remain in custody. City officials said it was not clear yet exactly where the letters would be shipped but said they would soon have details on specific destinations. Dominick Pangallo, Driscoll’s chief of staff, said in a tweet shared by Driscoll that if people still want to contribute, and “add to the growing collection of letters and cards,” they should drop notes off at the mayor’s office by noon Friday. Already, they are “up to around 40” cards, he said.